This week David Cameron gave a speech on a subject which I know is very close to his heart – the importance of family. Mr Cameron spoke of how families are the very bedrock of society. The values family life teaches us, compassion, tolerance and understanding, are the very values that bind our society together and form the best and brightest aspects of our national life. In recognition of this Mr Cameron announced that a ‘family test’ would from now on be applied to all new domestic government policies. This means that every single domestic policy that government comes up with will be examined for its impact on family life. I think this test is a great idea and am keen that, as impacts on families are considered, special attention is given to the role older people play in families. Type family into google images and you will get a stream of photos of young couples with children. This doesn’t represent the full panorama of family life. In so many families older relatives pay a central role in looking after children, and in providing support to other family members. Grandparents, aunts and uncles do so much, and we should remember that. I also want the family test to apply to another aspect of family life that can be overlooked –care provided by one family member to another. There are estimated to be 6.5 million carers across the UK, the majority of them providing unpaid care to loved ones. This voluntary care saves the UK health system £119bn a year. I work closely with Carers UK to highlight the needs of carers. 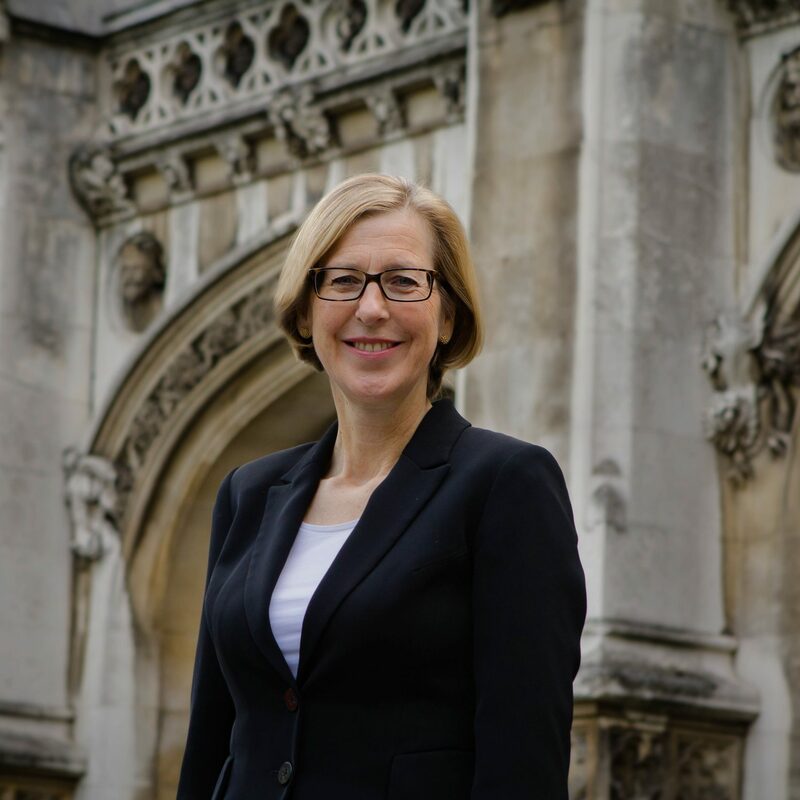 Progress is being made in securing enhanced support for carers, with the Care Act establishing news rights for carers and enabling local councils to do more to provide them with the information and assistance they need. Crucially our pensions system has been changed so that state pension eligibility will be calculated not just on the basis of National Insurance contributions through work, but also on National Insurance credits, earned by unpaid care. This change will help people who have to leave work to look after unwell family members, and women who decide to take a career break to bring up their children. I want us to go further, and to see policies tested on whether they will have a beneficial impact on carer’s lives. We need a comprehensive approach that enables people to spend time not only working and caring for children but adults if the become ill or disabled. Families should be able to care across the generations, with younger carers getting tailored support to enable them to continue with their education and social lives. Care support should extend to the very end of life, to ensure that at this most difficult time for families people have the option to die at home surrounded by their loved ones, will full palliative support provided by the NHS. Families supported to care for each other, from the beginning to the end of life. We have had another wonderful Falmouth Week, crammed with great events on the waves and onshore. Thank you to everyone who did such a good job of organising the Week and to the volunteers who helped ensure that everyone had fun. Falmouth’s reputation as a centre of excellence for recreational sailing is something to be cherished and developed, as is its role as a strategically important commercial and naval port. 95% of UK imports and exports travel by sea, relying on a network of ports with Falmouth the western gateway. This pivotal maritime role for Falmouth has shaped our town over the centuries and continues to provide skilled jobs for local people. In 2008 the Port of Falmouth Development Initiative, comprised of Cornwall Council, Falmouth Harbour Commissioners and A&P Ltd, was formed to examine how Falmouth could retain and expand this maritime role over the years to come. The Initiative’s work was brought together into the Port of Falmouth Masterplan, published in June 2011. The Masterplan demonstrated how the Port sustained over 1500 local jobs across a range of sectors, including ship maintenance and marine renewable energy, and charted plans to increase employment in Port-based industries by 138% in the years leading up to 2030. The dredging of Falmouth Harbour was one of the measures advocated in the Masterplan, which described dredging as essential if increasingly sizeable vessels were to continue to be able to access the port. I have been working with local people and the Port of Falmouth Development Initiative partners to deliver the Masterplan’s vison. Strict EU environmental protections apply to the Fal and we have first been required to demonstrate to the Marine Management Organisation (MMO) that dredging will not destroy precious coral habitats known as maerl or adversely affect the native oyster fishery. As there was a paucity of reliable data on the impacts of the proposed dredge in 2012 I secured an intervention from George Osborne that has enabled the Harbour Commissioners to go ahead with a trial dredge to explore the impact of dredging on the marine ecosystem. The results of this trial dredge, published earlier this year, showed that it would be feasible to carry out the dredging in such a way as to preserve affected maerl habitats. We are now working to get the final permissions from the MMO for a full dredge, including what to do with the dredged material. For Cornwall’s economy to grow, meaning more better paid jobs, we need the right infrastructure in place. The port of Falmouth is a major part of our local transport infrastructure along with road, rail, air and Superfast broadband. I am pleased to have helped secure a £146 million package of improvements for rail in Cornwall, and a £198 million of growth funding for our roads as well as a study to make the case for dualling the A30 between Carland Cross and Chiverton in addition government underwriting the Gatwick to Newquay flight. Investing in our local infrastructure is investing in future jobs. On the anniversary of the outbreak of the Great War I joined the Royal British Legion in Truro for the dedication of a floral display in Victoria Gardens to the memory of the local men who lost their lives. It was a deeply moving event, and as the candles that we all lit were snuffed out, while the bugler played ‘Sunset’ in the fading evening light, the sacrifices of a hundred years ago seemed very close indeed. Like every other community of Great Britain, Truro and Falmouth, along with surrounding villages, sent their share of men to fight over the Channel. Mid-Cornwall had its own ‘Pals battalion’, a group of civilians from the same community who joined up and served together in a specially created unit. The 10th Battalion Duke of Cornwall’s Light Infantry was raised in March 1915 by the Mayor of Truro and attracted hundreds of recruits from the City, from Penryn, Falmouth, Perranporth and nearby villages. After just over a year’s training the men were sent to France in June 1916 and served in the trenches throughout the war, participating in the dreadful battles of the Somme, and the Third Ypres. One hundred years on the regimental descendant of the Duke of Cornwall’s Light Infantry, the Rifles, are still in Truro. I continue to fight to keep a base for D Company 6 Rifles at the Moresk Road Reserves Centre so that these links between City and Regiment continue into the future. Of course Cornish men didn’t only serve on land, our maritime traditions meant that many joined the Navy. Falmouth became a naval headquarters during the Great War, a base from which minesweepers and submarine hunters, many crewed by Cornish fishermen, patrolled to keep merchant shipping safe. These patrols were co-ordinated from Pendennis Castle, which also served as a training ground for artillerymen waiting to cross over to France. It is good to see this Great War heritage being commemorated at Pendennis this summer though a new ‘Fortress Falmouth’ exhibition. In Penryn too where the museum commemorates the contribution of Penryn Engineers, from building a hospital to bridges in France. One of the most moving aspects of Cornwall’s Great War experience was the response of thousands of ‘Cousin Jacks’ to the outbreak of war. These Cornishmen crossed oceans to enlist at home or served in the Commonwealth contingents that fought in France and in the Mediterranean. The Commonwealth countries made a remarkable contribution to the war, with Canada and Australia between them sending over a million men to fight, many Cornishmen among them. There can hardly be a family in Cornwall whose male or female ancestors were not affected by the Great War. Whatever your views are about the war, what is indisputable is that, when called on by their community, thousands of Cornish people voluntarily left their families, their friends and their workplaces to risk their lives for what was understood to be the common good. That is remarkable, and a sacrifice we should never forget. It is fair to say that sewerage management isn’t the most enchanting subject. However, what it lacks in glamour, it makes up for in importance. If we want to keep our homes and businesses safe from being flooded with raw sewage, and keep our beautiful rivers and coasts clean, we have to have decent sewerage management in place. The Government has given South West Water new tools to help it do a good job upgrading and maintaining the sewerage management systems. Building on legislation that secured a yearly £50 rebate for all South West Water customers, the Water Act helps water companies manage the challenges of increased population and a changing climate. How are we doing in facing these challenges in Cornwall? South West Water are firstly investing in our sewerage system to ensure that it meets current demand. 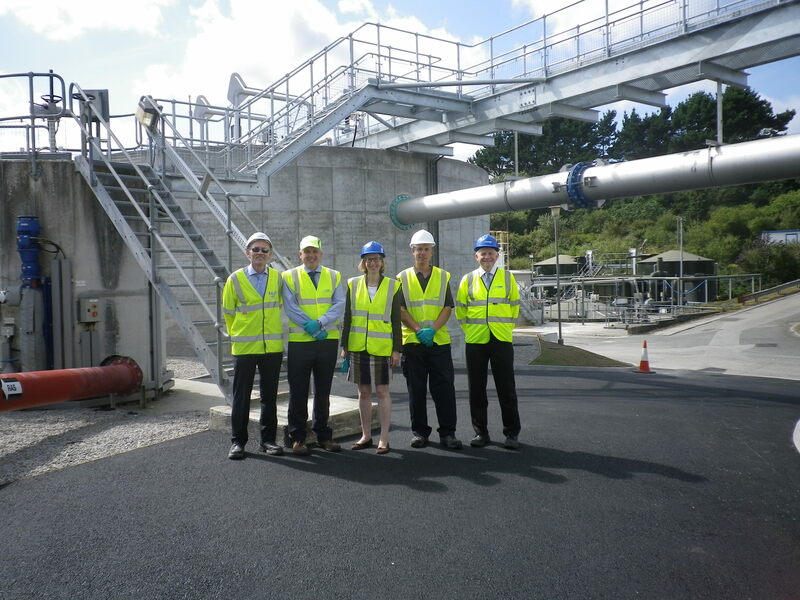 Last week I met with South West Water in Truro. Truro’s growth over recent decades has meant that the old sewers that run beneath the city centre have struggled to cope. Over recent months South West Water have spent £3.5 million on upgrading these sewers to ensure that they are fit for the twenty first century. The works are due to be completed in September. Throughout the works I have liaised closely with Totally Truro and the City Council who have done a great job in speaking up for the local community and securing workable solutions to problems. 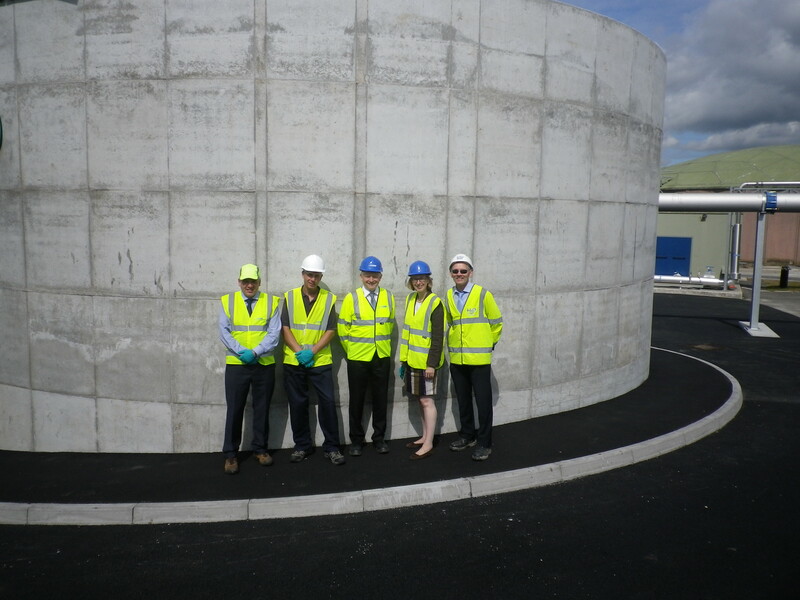 I visited South West Water’s Newham sewage treatment works to inspect a newly completed upgrade to facilities there. This work, representing an investment of £2.8 million, means that the facility has extra capacity to meet the needs of an increasing population. During my visit I was struck by the amount of items that had been flushed down the toilet or sink rather than put in the bin, from cooking fat to wet wipes – all causing problems and adding cost to the water treatment process. Costs we all end up paying for on our bills. So do think carefully about what you put down the loo or sink. I also visited Calenick, were last winter’s excessive rainfall caused sewer discharges into private property and into the Fal estuary. Working closely with the Environment Agency, South West Water are considering how they can prevent this happening and are drawing up plans to invest £3.5 million on measures to further improve water quality in the Fal. This is essential – last winter’s heavy rains, which resulted in excessive run-off from fertilised fields as well as untreated sewerage discharges, caused pollution in the Fal that has affected mussel fisheries. Cornwall Port Health Authority and the Environment Agency are working hard to find a way forward and have assured me that pollution levels are falling, paving the way for full shellfish fishing to resume. I will continue to do all I can to see this happen as soon as possible and to support all those working to ensure that our sewerage system functions as well as we need it to.